Driving home from work today my Subaru Forester caught fire. As I was heading north on 146 I heard a bang and black smoke came out the back of my Forester. That’s about when I realized my engine had died and I’d lost power steering. I coasted over to the side of the road and came to a stop. That’s when I smelled burning plastic and saw all the smoke coming out from under my hood. Things didn’t get any better when I opened the hood. The engine was on fire! I quickly pulled all my stuff out of the car and then dialed 911. I was in such a panic I dropped the phone twice before I was able to use the phone. The operator connected me to the North Smithfield Rhode Island police department. They said that the fire department was on their way to put out the fire. I stood on the embankment a safe distance from the car as the fire grew bigger. Bits of molten flaming plastic were dripping on to the ground below my car. The car had almost 200 thousand miles on it. I had already put a down payment on a new car and was going to trade the Forester in on Saturday. Not any more. The flames grew higher. Probably five minutes had passed since I called 911, but it felt like forever. Was my car going to turn into a giant fireball? That sounded dangerous. I decided to start throwing handfuls of snow onto the fire to keep it contained. Eventually I was scooping up giant armfuls of snow and dumping it into the engine compartment. I put out the fire. A police officer showed up. Then three police officers. Then the fire department. Everyone peered into the engine compartment. The fire department confirmed that the fire was indeed out. I got a tow to the nearest garage. Everyone was very nice. Now I really need to buy that new car. Update: New (to me) car! Behold the awesomeness of my 7th grade claymation! Took me 3-4 months to make this video during free period in 7th grade in 1992. This video originally had Kenny Loggins Highway to the Danger Zone, but I swapped it out for DFR to avoid any copyright issues. The Trailer for Sharkzilla vs. Dinosaurus Rex: Battle for Tokyo. Blockbuster movie coming Summer of 2016. Made this with the kiddos a while ago. Finally edited it together. Everyone should take a retail job at some point. It will hammer home how important politeness and manners are. I knew that dealing with the public would also be useful experience as I’m normally pretty introverted. Working at Blockbuster really demanded that I talk to strangers. We had to greet everyone that came through the door. We had to sell the “Blockbuster Rewards” plan to everyone that came to checkout. If we didn’t give the long-winded speech about why the rewards program would be good for them then we got in trouble. Often people signed up just to get the immediate free movie rentals. I think it was a $30 a month subscription which was not worth it, but many people bought it anyway. Along with selling them a subscription service, we also were supposed to get their CC number on file so that we could auto-bill them if they were late which seemed scummy. By the time all the selling and collecting of info was done it seemed to take 20 minutes to checkout each customer. There were long lines on Friday & Saturday nights, customers were visibly frustrated, but we had to keep selling or get in trouble! Each rental tape had a barcode on the back of it that we scanned in and out to keep track of inventory. There was always the possibility we missed scanning a tape back in, but there was also a fear that a customer who had a late rental would sneak it back into the store and place it on the shelf then tell us they returned it on time to avoid paying the late fee. Each day when the store opened I received a printout with a list of barcodes and movie names and my job was to go check to make sure that those videos weren’t out on the shelves. The store closed at midnight. Sometimes after we closed we’d do a full inventory count on every single movie. It would last for hours until the early morning light. There were TVs installed throughout the store that played a short promotional tape on a loop. Each tape seemed to contain a few movie trailers, one pop music video, and a commercial or two. Every few weeks the tape was swapped out with a new promotional tape. For the first few minutes it was exciting to see what movie trailers were on it, and to hear the new song! Quickly it became obnoxious to hear the same Britney Spears song over and over again, and then your brain would tune it all out and the tape faded into the background, until suddenly your brain picked up on it again and it made you feel crazy. I think what I learned while working at Blockbuster is relationships matter. Some Corporations will treat their customers as badly as they can get away with. Abused customers and will fight back anyway they can. If people don’t like you, they will leave as quickly as they can when a better option comes along. 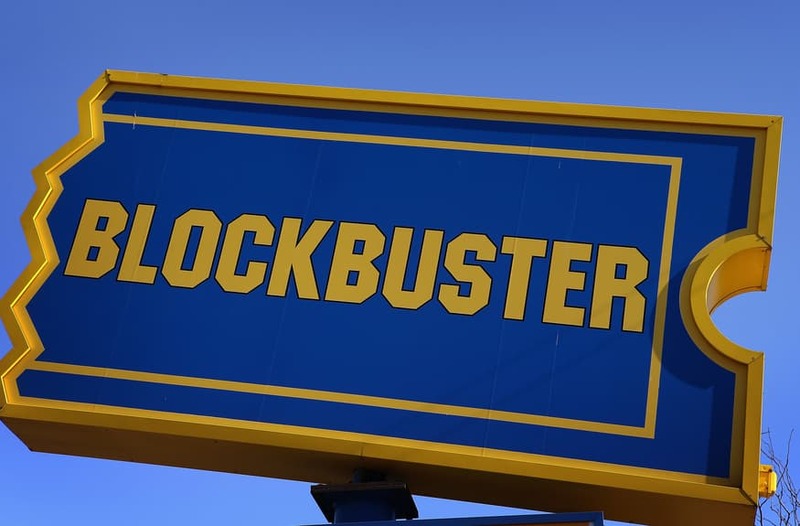 Facebook’s contempt for their own customers reminds me a lot of Blockbuster and I predict things will not end well for them. Good riddance to any company that treats their customers badly.